Good news for law-abiding Californians! The “California Values Act” (SB 54) bans law enforcement agencies (LGAs) in the state from cooperating/sharing information with ICE, resulting in more criminal illegals being freed to endanger law-abiding citizens. 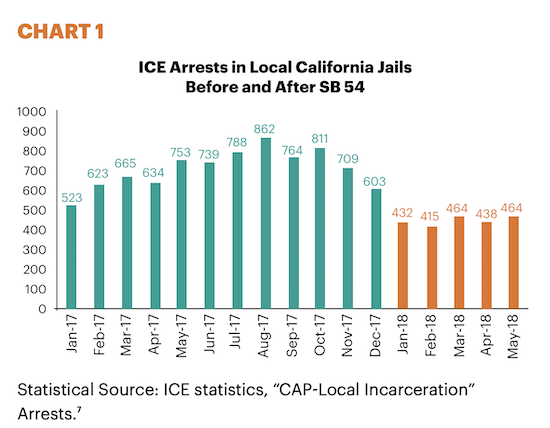 A new study reports that twenty-four out of the state’s fifty-eight sheriffs departments (over 41 percent) are getting around the law by using a legal loophole to let ICE know the whereabouts and release dates of criminal illegal immigrants ICE want.